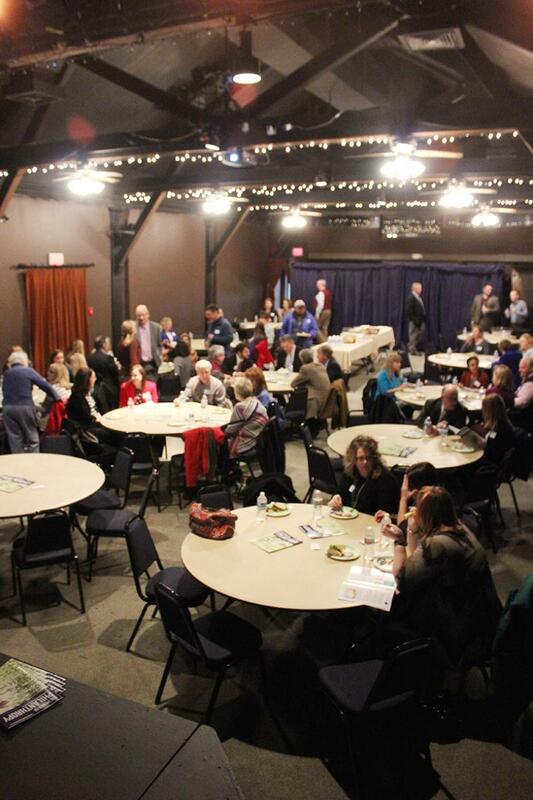 Looking for a place to have a meeting or host a speaker? How about a birthday or holiday party? If you are searching for a place to have an intimate wedding, look no further. We’ve got the perfect place. Right next door to Kirchhoff’s Bakery, Etcetera2 Coffee, JP’s, Tribeca, Shandie’s, Doe’s, and Max’s Brick Oven. With easy setup and convenient parking, MHT has the perfect space. 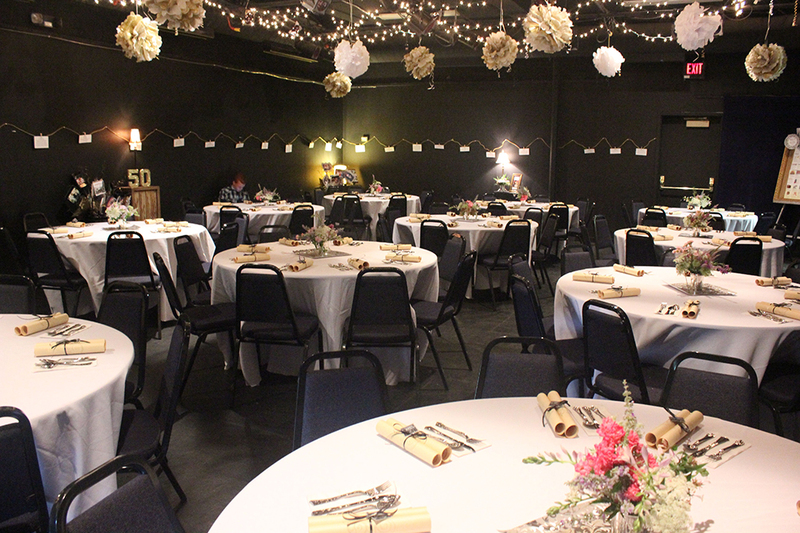 The Market House Theatre has four spaces available for event rental. Rentals are subject to space availability. See our detailed event pricing guide for non-profit and package rates. Contact our Facilities Manager for more information or to set up a time to view the space at 270.444.6828 ext. 217 or thensel@mhtplay.com. The historic Multi-Use (Finkel) Building is a large space that can accommodate parties, performances, receptions, meetings, and small conventions. The space is complete with a small stage, dance floor, restrooms, and street access to Kentucky Avenue. Pricing is $75 per hour. 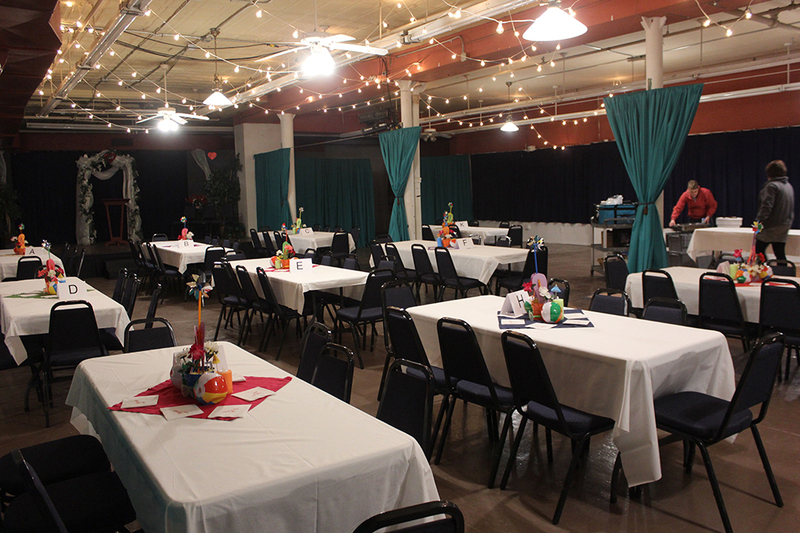 Great for parties, large meetings, weddings and receptions, or acoustic performances, the Market House Theatre Stage is located in the historic Market House building facing Kentucky Avenue. While originally a market for farmers to sell produce, the space was transformed into a theatre in 1963. This space is currently set up for digital presentation and sound reinforcement and will make a great venue for many functions. Pricing is $75 per hour. Perfect for smaller meetings, small performances, birthday or dance parties, or rehearsals, the Market House Theatre’s Studio Theatre is located right next to Etcetera2 Coffee and Kirchhoff’s Bakery on historic Market House Square. The Studio Theatre has access to a small lobby and restrooms and is at street level. The space is equipped for digital presentations and sound and has party lights that can make any party a hit. Pricing is $50 per hour. Great for small meetings or rehearsals, the Market House Theatre’s Studio Classroom is located on Market House Square near Etcetera2 Coffee and Kirchhoff’s Bakery. The Studio Classroom has internal doors that connect to the Studio Theatre for events that need extra space. Pricing is $25 per hour. MHT has just added a new Event and Reception Building space (not pictured yet) to our space offerings. This building is located right next to our Studio Theatre building and is a Paducah favorite spot for photo taking with its large tiled wall by artist Sarah Roush. It has a main room that is capable of seating 60, mutiple side rooms which can add another 60 to the capacity, a prep kitchen space with counters and ice maker and back bricked courtyard space which can add another 30-40 people for an event. Contact our Facilities Manager for more information or to set up a time to view the space at 270.444.6828 ext. 217 or thensel@mhtplay.com.